With all the madness that was life from the end of 2016 to now I've really neglected my threads here on FEP. Heck I've been hiding this one since I brought it home so figured its time to share. I know its not a four eye but its primary duty will be fox support. This all came around as I kept having to barrow my little brothers truck and since he picked up his beater for $600 I decided to keep an eye open for a deal that I could just drive with out having to rebuild it or make it into another major project. Over the course of my 8 month sporadic searches there were several that looked good in the add but were junk in person. One of which was a heart breaker because it was a forest service truck, you could see where the wigwags, CB, and other equipment had been. But sadly it was completely shot, but were still made the 100 mile trip to see it. So a month later when this add with a single picture came up I was really skeptical of its condition. The problem was IF it was this good I had to move on it or lose it. So after getting ahold the seller the night the add was posted he agreed to let dad come see the truck at 9am an hour before another buyer. I had to work that day so I handed dad a envelope full of cash and told him to buy it if he liked it and if it didn't need anything but basic maintenance.... I've got to tell ya guys that was the most nerve wreaking morning at work ever waiting for dad to call. But at 10am the call came through with the first words out of dads mouth being, "Well kid you bought yourself a truck." He proceeded to tell me that he made up his mind to buy the truck before he even got out of moms truck but he had to go through the full once over and test drive. 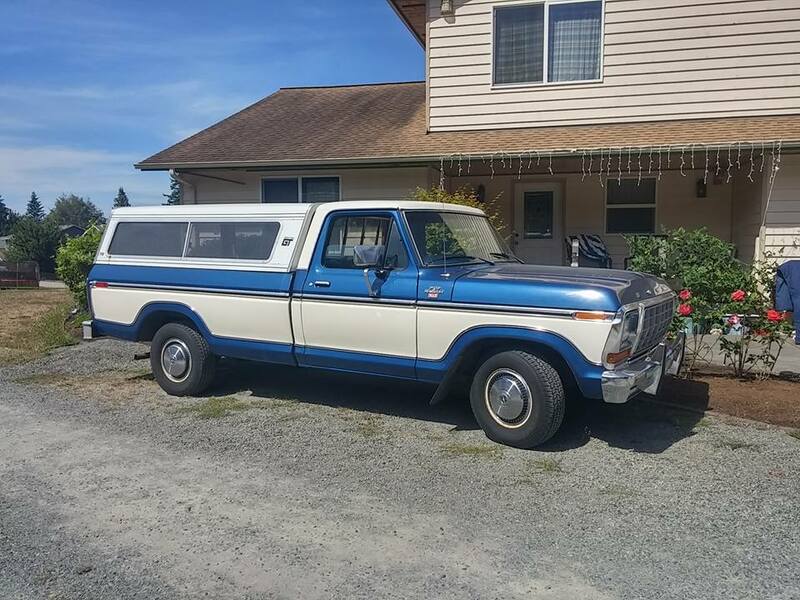 So after dad agreed to buy it the owner wouldn't take any money up front to secure the truck till we could come back to pick it up on that Saturday. 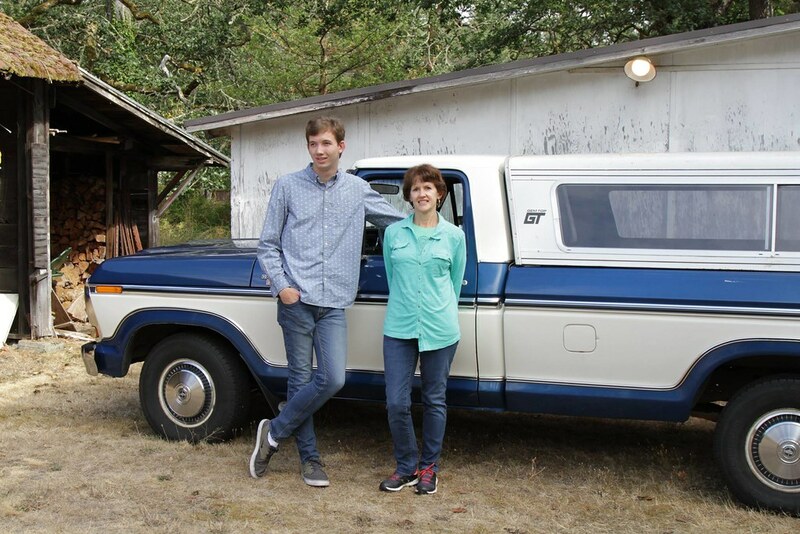 We also found out the truck was originally sold in Tacoma. The first owner only had the truck for a year before trading it back into the dealer where he bought it. The Second owner ended up being a mechanic for that dealer and he had for about 20 years. When he got sick with cancer he struck a deal with his next door neighbor to buy the truck and all the nos parts about a week before he passed away. Sadly the nos parts never got picked up and were lost when his family cleaned the house out. But his neighbors keep the truck for the next 18yrs and only put 20k miles on it. Well these neighbors happened to be the people I bought it from. To this day I won't forget the guys son making me promise to restore it and not use it as just a farm truck or resell it for a profit. Anyways its home, tucked away with its new stable mates. 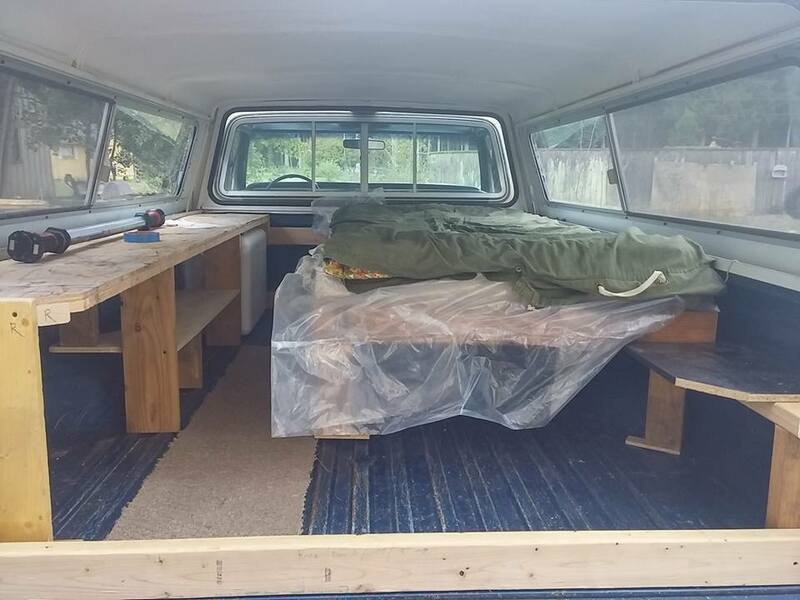 I did just few months later end up quickly going through the trucks brakes, cooling system, tune, and building a sleeping platform in the back without putting a single hole in the bed so I could go hunting for the 1st time with my cousin on the property that he had bought from grandpa before he passed away. It was kind of a must do since my cousin was being restationed to Camp Pendleton in a few months. But we both came home with bucks so it was worth the mad dash to make it all happen. If you blink at the end of the straight away you'll miss the twisties and what fun would that be! 1985 SVO 2A & leather. 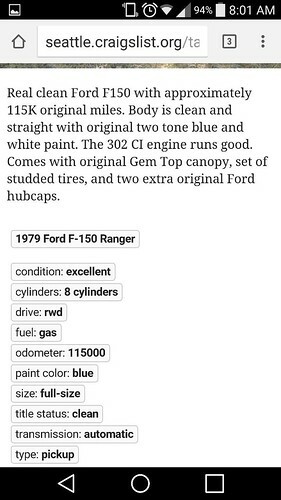 I had a 76 F150 many years ago. It was no where near as nice, it was nicknamed Rusty. Congrats. I love to read accounts of how one came to acquire a special vehicle. 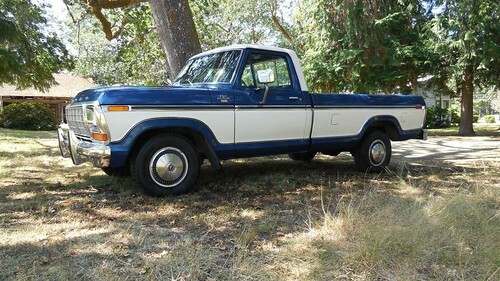 This is my favorite era of Ford pickups (73-79). Probably because I drove several of them while working college summer jobs in the oil fields. That was a particularly good time in my life. If I were to acquire one, I would want it to be a three-on-the-tree (don't laugh). That means I would likely be trying to find a stripper like the ones I drove, most of which were used up and discarded decades ago. Mine was copper with the Explorer trim package. Started out with a 390, but it burned a ton of oil and when the flex plate broke, i swapped a 460 into it. Mechanically it was a solid truck but there were a lot of holes in the body. I also had the Ford fiberglass canopy on it. This is about the only picture I have of it. It was just before I sold it having bought the newer 94 to take its place. The 94 eventually became Rusty II before it was replaced. Last edited by BMW Rider; 02-01-2018 at 06:47 PM. Congrats on the truck Nelson. You will get many a years work out of that one. If common sense was common wouldn't it just be sense? That's an awesome truck! I love it! Of course, my thought is once you get it, it's time for a 460 or 12 valve Cummins swap!!! Beautiful truck! Just what I've been looking for, actually a little too nice for me. I want a two wheel drive 1970 something to daily drive spring, summer, fall. 1979 Mustang, v6 swapped to EFI 393, custom installed m122 blower, 4r70w trans, Megasquirt II, T-top swaped in. 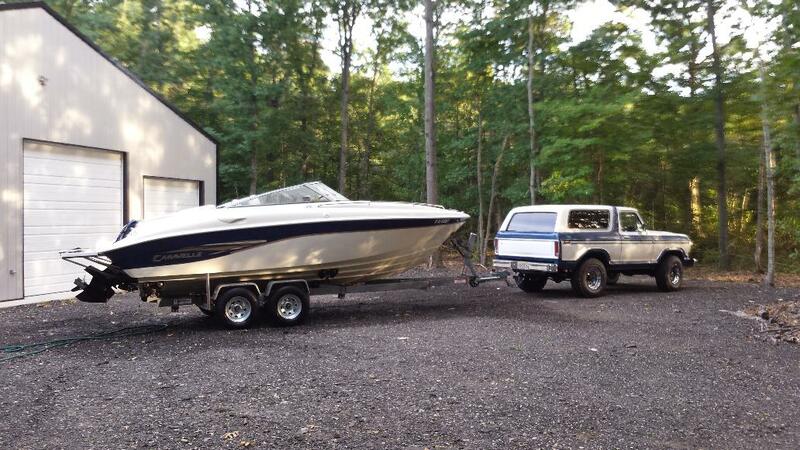 1990 Mustang, 545 BBF, C-4 with brake, ladder bars. Hey third times the charm! Thanks Dave, but the beast isn't gonna have to work to hard unless you count camping and hauling fox parts work. 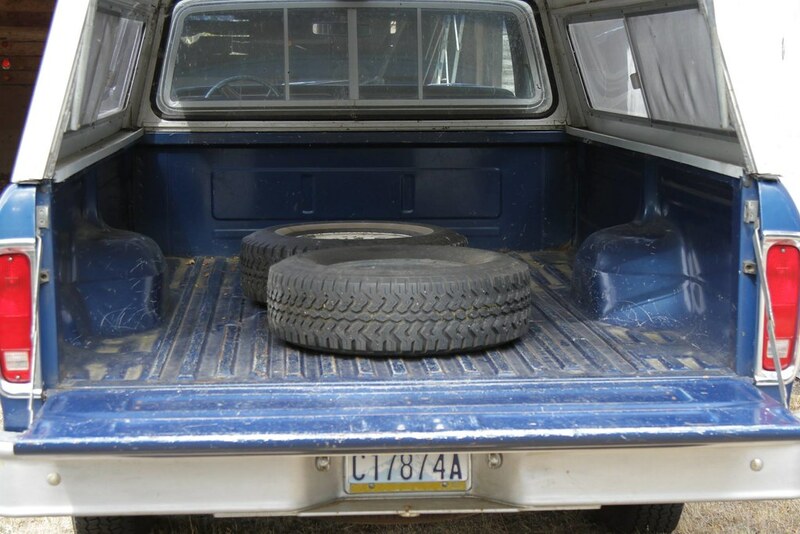 Nah dads got a 78 SuperCab 460 and thats more motor than I need for cruising around. Although should the old 5.0L give up maybe a coyote 5.0L will take its place. Thats pretty much what I thought when I brought it home, but honestly if I had gotten a beater I'd be trying to make it this nice. On that note I am already planning on doing an egr delete, 85 mustang dual snorkle air cleaner, oil catch can, long tube headers into a Y pipe that becomes a single 3" pipe with a Gibson muffler finished off with a 79 style dual tip. Oh can't forget the 3g alternator and stand alone stereo, as I'm not cutting into this dash. That depends on where you are camping and how hard you push your SVO and Capri. Hey I'm not to proud to push a fox. But god help me if I ever have to push the truck lol. 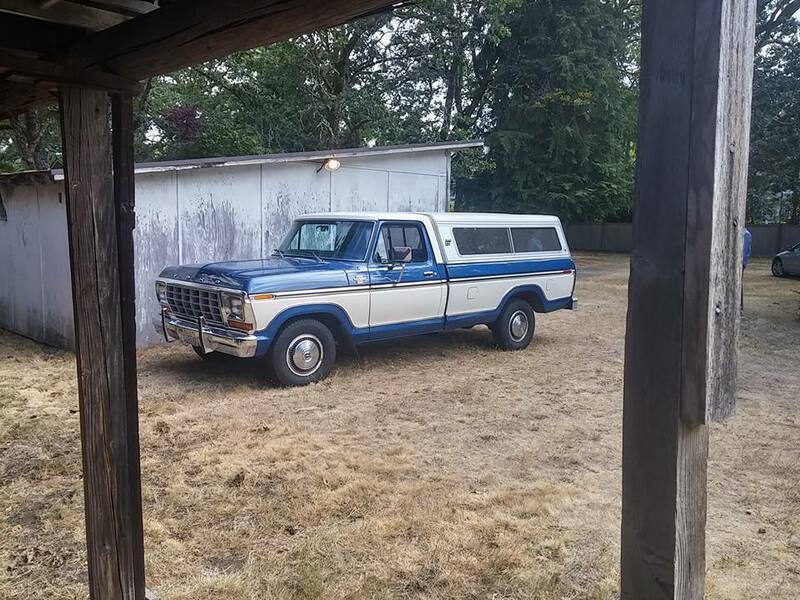 Now I could use some help from you guys the truck needs a project name. The svo is "mistress" and the capri is "mistress" for reference. Wow, that really is a nice truck! But a word of advice, by somebody who had this issue. Replace the timing chain set and the valve stem seals ASAP. About 10 years ago, I bought a very nice, one owner 79 Zephyr Z7, red with white interior, 302 automatic. It had just over 100,000 kilometers, about 60,000 miles. The 302 ran very well, UNTIL I was driving down the freeway one day at 60 MPH, and the oil light came on, and the lifters starting clicking. I immediatly turned the engine off, and coasted to the side of the freeway. The first thing I checked was the oil, which was right up. (I had changes the oil a few weeks earlier). So I was stranded in Chilliwack BC, about 50 miles from home, and no cell phone. Fun! Anyhow after I got the car trailered home, I tried to rotate the crankshaft with a ratchet and socket, but that few seconds of no oil pressure had virtually siezed the engine up tight. Later I pulled the engine apart, and found the oil pump driveshaft that operates the oil pump from the distributor, was twisted up like a barber pole, with the end snapped off. Upon further investigation, found a very small piece of hard debris had gotten inside the oil pump gears, which locked up the oil pump, and broke the oil pump driveshaft. Not only was there a number of small chunks of plastic in the bottom of the oil pan, but since Ford for whatever reason, decided to have a hole in the oil pump pick up screen, which gave plenty of room for the pieces to migrate into the pump, and cause all this havoc. Over many years, the nylon teeth on the cam gear, and the valve stem seals get brittle, and disintegrate, and can get into the oil pump. I know it was only a stock 302, but it could have ran for many more years if I had only replaced the timing set and valve stem seals before this all occured. Hate to see anybody else suffer the same fate that I did. If your 302 runs well, an afternoons work and less than 100 bucks in parts is money well spent. Replaced the FE big block with my 331/4 speed in my Fairmont, best 10.24ET @128 MPH. 1985 Mustang LX hatchback NHRA Stock Eliminator 302 4 speed best in legal trim 12.31@107 mph, but has gone 11.42@115 with aftermarket intake, carb, and iron Windsor Jr. heads.New for 2012! 331 cube SB Ford, AFR 185 heads, solid flat tappet cam, pump gas; 10.296ET@128.71 mph, 1.37 60 foot. 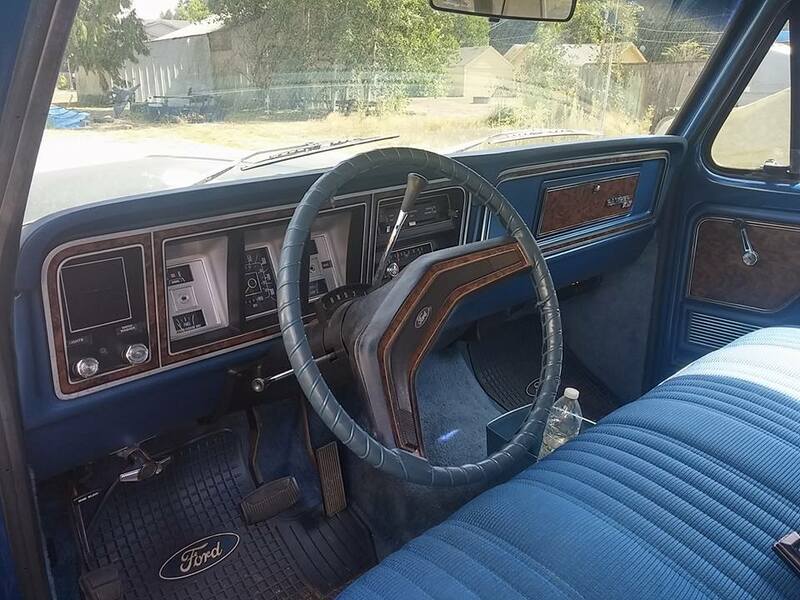 1979 Zephyr Z7, all original 302 auto, 2nd owner. 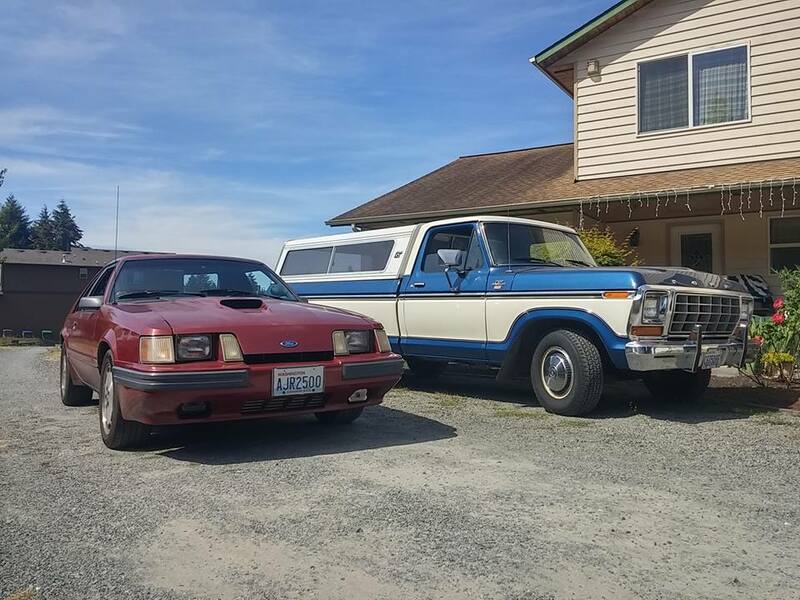 Oh, on a happier note, I built, and used my 74 F350 car hauler in 1988, and used it for hauling my race cars up & down the West Coast for 26 years, before I bought my current F350 and enclosed trailer a few years ago.It had gone from Ashcroft BC to Sonoma California , and many other tracks in between, and never let me down once. And since I sold it to a fellow local racer, I still see it at Mission Raceway all the time. 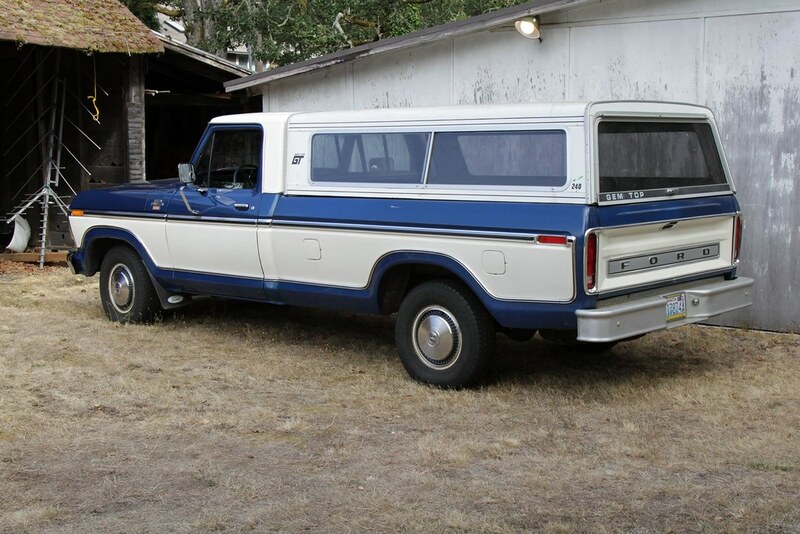 I just won the auction for a 1979 f-150 Supercab 2wd. Supercab and a long box, Not sure where I'm going to park it, lol. I'll post pictures after it's delivered. Cool. My uncle had a 4x4 supercab with 400M, 4-Speed, and 3.73:1 gears. Had the cam degreed how ford should have from the factory. Ran really good. Really no problems pulling big trailers via the 5th wheel hitch ..... no problems at any speed. Every once in a while we’d meet him flying low with a bobcat on behind plus a truck full of tools, etc. The truck had 200K miles on it when he sold it. It ran at least another 250K before the timing chain broke. It eventually got scrapped - would have liked to have that truck when I pulled my 85 to Texas, that’s for sure! Very nice. Looks in incredible shape. Love that color combo too. I've had close to 30, 70 trucks and 78/79 broncos. a crazy rock crawler 78 fully exo caged on 43 competition tires. This is something that dad and I agree will get done this fall. We are also looking at maybe swapping the cam for a comp cam kit that comes with cam, lifters, springs, and timing chain. Hey Jess, congrats on the truck! but wheres the pic's? Nice score! I looked at a few of those but they were definitely more project than I wanted. Its really to bad that you didn't get to keep it. I'm going to be hard pressed to let go of dads 78 f150 Supercab if it ever comes to that. I love that bronco, especially in that color combo!!! I admit its temping to get one, but I've got to buy a house with a real garage/shop first. Beautiful truck man! 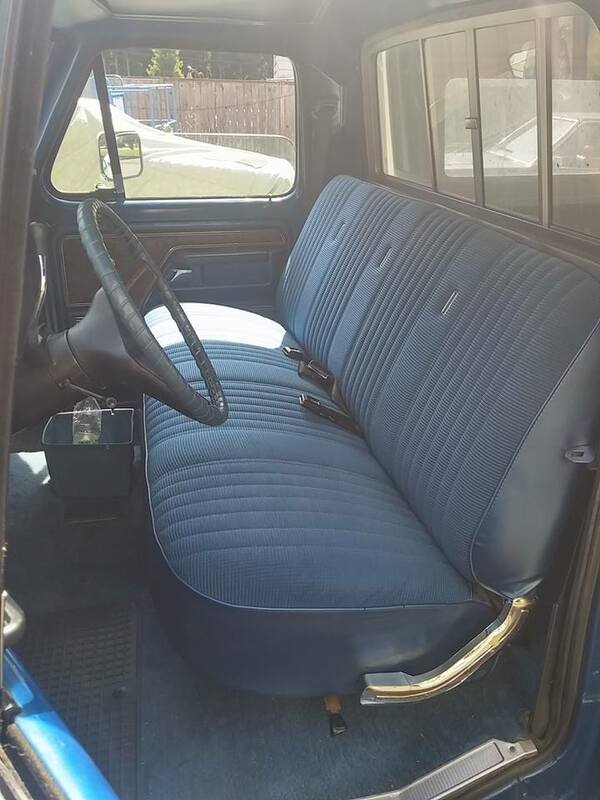 I also have a 79 but it's a F100 Custom. My grandparents purchased it locally in 1984. My dad took over payments in 1985. It's been to hell and back. From hauling people to the hospital that had been run over while the driver door falling off the hinges from that same car that hit the people, to winning awards at a car show. My dad gave it to me for my 15th birthday 10 years ago come September. I had a choice between the truck and his 1971 chevelle. I didn't even think a second about it. I loved the truck since as long as I can remember. These trucks are my absolute favorite of any make and model. Great find for you my friend! Not too much to look at on the outside. I bought new rear wheel arches, but I think I might look for a better box first. I pulled the 302 and swapped in a mild build 460. .030" over, custom cam, ported factory heads with big valves, Fitech EFI, C-6 trans with shift kit. Upgraded brakes. POR-15ed most of the frame, replaced a lot more of the floor than I thought I would have needed to. Been driving it a couple weeks now, trying to get all the bugs worked out. Not sure why stuff like this finds it's way to me. Fixing cab mounts too. Sure why not. Last edited by Mustang-junky; 07-20-2018 at 09:06 PM. Thankyou! It really is fun when you get to keep them in the family. Any picture's? Good grief man you've tackled a hell of project. How is the fitech working for you? How did you set up the fuel system with two tanks?